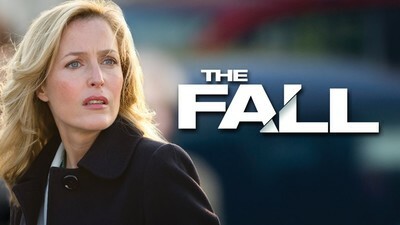 The BBC drama The Fall, starring Gillian Anderson, has met with some controversy with accusations that it glamorises violence against women. Guardian writer Rachel Cooke described it as "misogyny in a veil of classiness". If you have seen it, what do you think of it? Netflix promotional poster. Fair use. I watched it because Gillian Anderson was in it. As hooking as the show is, I do have to agree because of the one simple fact that these women all seem to be helplessly in love/infatuated with spectre, even after what he has done to them. If they weren't attracted to him, then I don't think it would sue, but they are, and that's what I'm not keen on. I'm in two minds about this show. Like Bryony I started watching it because Gillian Anderson was in it, but also because I had heard that Stella Gibson was an awesome feminist character, which going on just the first two epidsodes of season one which is all I've seen so far, she is. However, the stalking and killing of the women is awful and the juxtaposition of this with the killer being outwardly such a nice guy is very unsettling, as I think it's supposed to be. I don't think it's meant to be comfortable to watch, so it does what it does well, but I don't know that I like it. Sara Arboleda from The Mary Sue wrote an interesting rebuttal to the Guardian piece. serial killers, rapists, etc do not go around with signs warning us to beware they are often charismatic and outwardly likeable and I think this programme was brilliant in showing this. Never saw it, but like others' here commenting, would've only watched it because of Gillian Anderson. I'd not seen her in the USA show she was in, but I was most impressed with her performance in 'Bleak House'. What are you reading in May 2017?